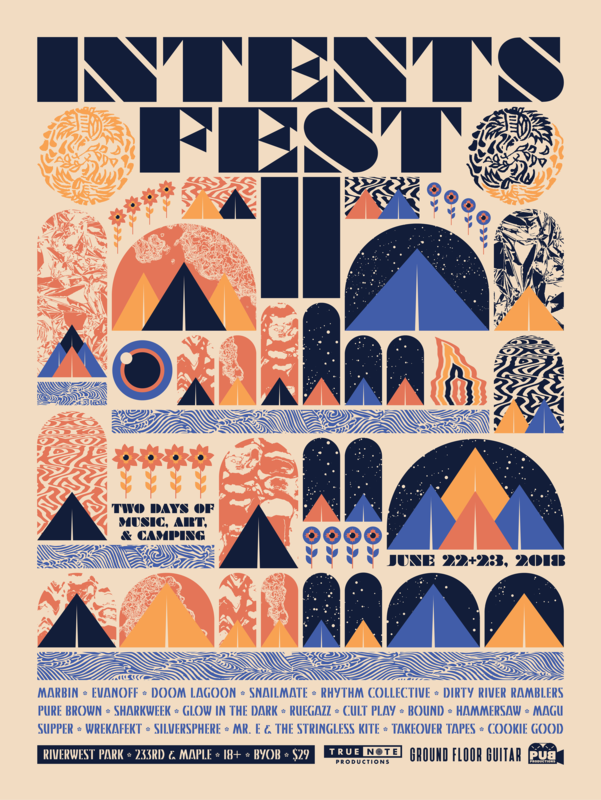 Intents Fest II | Cody Fenske Design Co.
Intents Fest II is a camping festival full of local music two days straight. When Intents Fest asked me to create this year’s creative, they asked for something much more on the intense side of things. Keeping the focus on camping, I went for a new kind of vintage psychedelia. One half represents day time, the other, night.